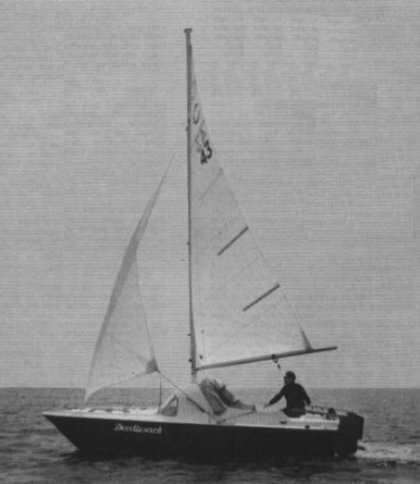 A very early, (and advanced for its time) cruising catamaran. It is said that the original design (from an earlier builder) was appreciated more for its sailing performance than its interior amenities. In an effort to improve on the latter, the superstructure and other details underwent a number of changes over time. A Mk II version has a masthead rig. Pictured here is an earlier 'day sailor' version.